Through its lyrical structure, Chavela takes viewers on an evocative, thought-provoking journey through the iconoclastic life of game-changing artist Chavela Vargas. The film is centered around never before-seen interview footage of Chavela shot 20 years before her death in 2012. 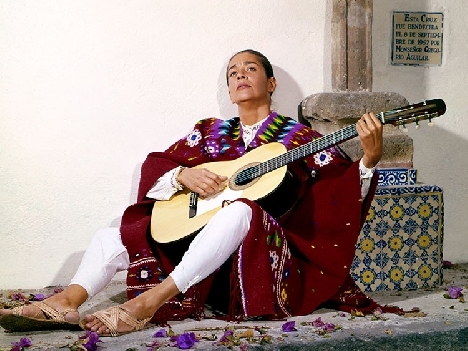 Guided by the stories in Chavelas songs, as well as the myths and tales others have told about her  and those she spread about herself  the film weaves an arresting portrait of a woman who dared to dress, speak, sing, and dream her unique life into being. 90 minutes, Spanish with English subtitles. Please note: This film contains mature themes and may not be appropriate for all audiences. The screening is free. No ticket or registration required. "Unmissable...probably Donald Trump's ultimate nightmare  a Mexican lesbian diva who can wring your very soul."